What Do I Need for a Mortgage Application? 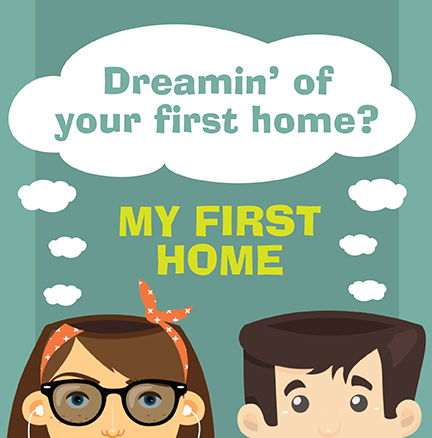 So you’ve found your dream home – congratulations! Now all you have to do is apply for a mortgage loan and you’re one step closer to moving in! A mortgage loan application is relatively similar to other loan applications, with the addition of property specifics. In order for the lender to feel comfortable giving you the amount of money you are requesting, you will need to provide financial specifics that prove your fiscal responsibility and reliability. Explore our guide to purchasing your first home. When applying for a mortgage, there are certain things that the lender, regardless of who your lender is, will require you to provide. Bringing these items with you when you begin the mortgage application process will inevitably save you time. Keep in mind, the specific lender you use might ask for additional items or variations of these items, but this list is an excellent resource to ensure you are on the right track when you meet with your lender. Bring all of your pay stub/s from the most recent month. Bring the past two, which were sent annually by your employer around the tax season. Bring copies of your past two federal tax returns. Bring copies of your bank statements from the most recent past three months. Bring statements from any/all investments you have, such as stocks, bonds and life insurance. If you are receiving a monetary gift to put towards your home, you should bring proof of this so your lender can confirm the receipt of the gift. Bring details about any loans you are paying off for your vehicle. Bring the details about the amount still owed on your student loans. The lender will perform a credit check with your mortgage application submission, but you should also bring information about your credit card accounts to prove that you are capable of paying off debts. Your real estate agent can provide you with this documentation. If you were a full-time student during the past two years. Depending upon your individual situation, there may be more documents that your lender requires you to bring to complete a mortgage application. If you have any questions about the mortgage application process, necessary documents, or anything related to becoming a new home buyer, feel free to contact a Howard Hanna Mortgage Loan Originator! My Credit Karma score is trans union 644 and equifax 640. Is that score enough to buy a home with no money or low money down? Is there a down payment assistance department? Can I apply for a USDA or FHA loan? Will the Credit Karma scores show up lower on another report? I am working with Continental Credit to repair my credit. I am finishing up a Chapter 13 (5 year) Bankruptcy this May, all payments were on time and payroll deducted. My rent is &1325 now and very expensive, with an option to rent to own after I come up with $5K and another 10% to finance by owner. It seems that it is not Doable.